Ethanol is a liquid fuel that is colorless, flammable, and volatile. It is produced through the natural fermentation of sugars. It comes from plant-based material. In the United States, the world’s leading producer of ethanol, corn is the primary foundation of the fuel. In Brazil, sugarcane is the primary product used to create fuel. Although ethanol can be used on its own, the most common usage of this fuel is to blend it with gasoline. This creates what is called an “e-ratio.” A fuel that is listed as being E10 would therefore contain 10% ethanol. In Brazil, E27 fuel is common. Some vehicles can handle fuels as high as E85. In the United States, for a vehicle to use a blend that is higher than E10, modifications must be made to prevent damage from occurring. Biofuels are seeing growth levels that average about 3% annually. For ethanol, one of the world’s most popular biofuels, consumption levels continue to be extremely high. 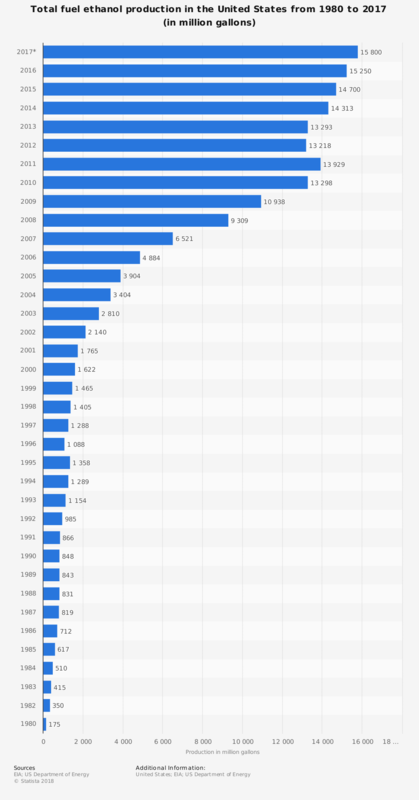 Total production of ethanol in the United States has more the doubled since 2007. At the same time, U.S. demand for ethanol has continued to rise as well. Although the U.S. is the world’s largest producer of ethanol by far, the total installed capacity barely meets domestic needs. That means export opportunities for this fuel are quite limited. 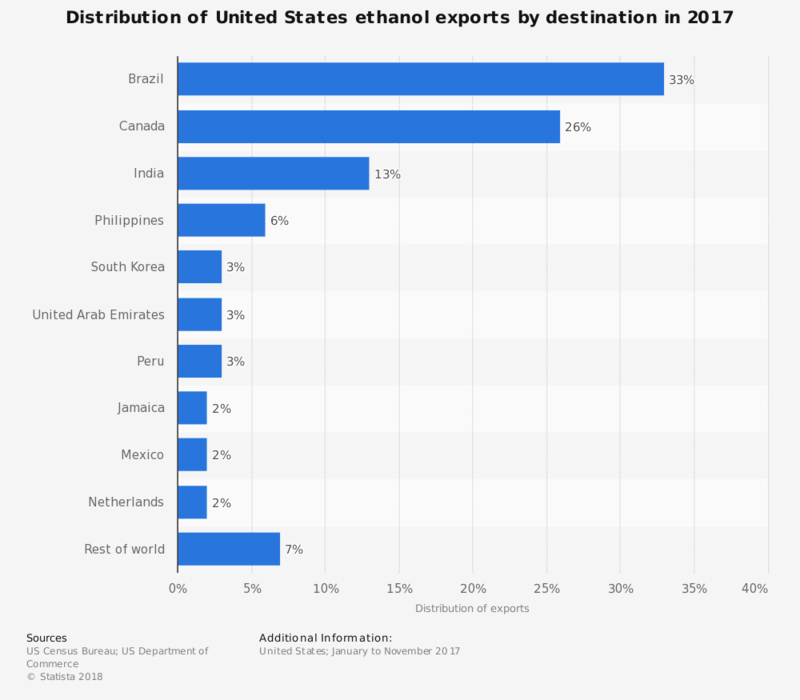 Brazil faces a similar struggle, especially since the average driver consumes twice as much ethanol for their transportation needs as American drivers consume. The demand to create fuels that are environmentally-friendly, and even carbon-neutral, will keep ethanol demand levels quite high in the future. 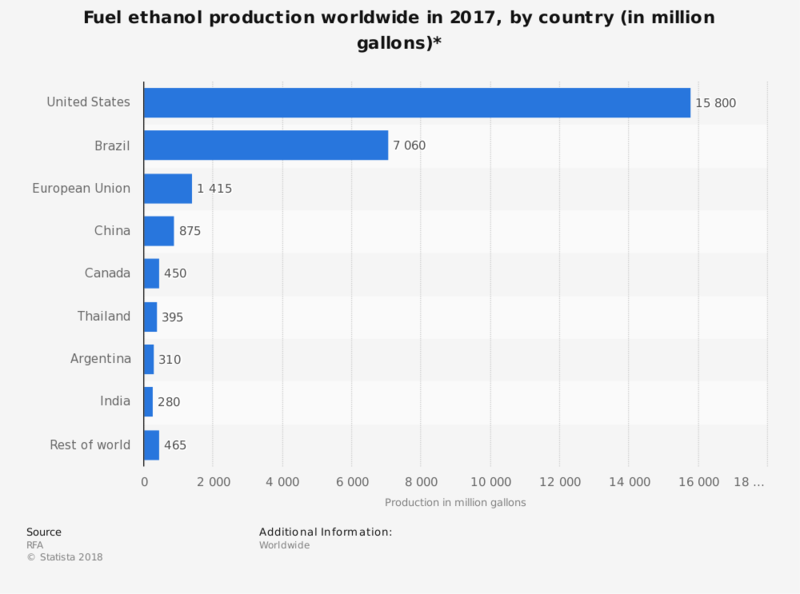 Until other countries begin to install new production facilities, expect the U.S. and Brazil to dominate the ethanol industry for the foreseeable future.